The Exposure or Sentence for a Violation of Probation or Community Control (house arrest) is usually worse than the original substantive charge ( Felony or Misdemeanor) that you were placed on probation for. The Judge and Prosecutor (Assistant State Attorney) often have the view that you were given a break by not going to jail or prison in the first place and gave you probation. Often no bond is given to a person who violates their probation and will remain in jail pending the evidentiary hearing for the probation violation. A defendant is still entitled to a bond hearing for a probation violation. And depending on the circumstances a bond may still be issued to the alleged violator. The burden of proof by the State Attorney’s Office is not “proof beyond a reasonable doubt”, but is a much lesser burden to “satisfy the conscience of the Court”. I have seen persons get acquitted of a new substantive charge that caused their V.O.P., but were still found responsible for violating their probation. The rules of evidence are lax. Some hearsay is allowed to be heard, where in a trial for a substantive charge it would not be admitted into evidence. The prosecutor could call you to testify. You do not have a 5th Amendment right not to testify. 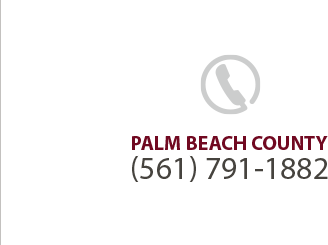 It is important to have an experienced attorney represent you for your Violation of Probation/Community Control (house arrest). Technical violations occur for example when defendant the failed to perform his community service hours, willfully did not pay fines, court costs or cost of supervision. Changed address without notice. Changed jobs without notice, etc. Substantive violations are the most serious type of violation. This violation occurs when the defendant is accused of committing a new crime while on probation, e.g. The Defendant is placed on probation for D.U.I and then continues to drive while his driver’s license is suspended. Often a good probationer/defendant who has successfully completed all of his conditions of probation and at least half of his or her probation period has been completed may be a good candidate to go back to court to have their probation terminated early. The Court will look at recommendations from the Probation Officer, the nature of the original charge, the criminal history of the Defendant before deciding to terminate probation early. Call Attorney Steven M. Logan for Probation Violations, Violations of Community Control, or to have your probation terminated early or to have your community control converted to probation.